Hey everyone! I promise this post isn’t sponsored by Kohl’s, I just like to shop there. Any-who! Since the summer is coming to an end I wanted to share this look before it’s too late. The day we took these pics it was a blazing 90/1000 degrees. Okay maybe it was like 80, but it felt hotter to me. 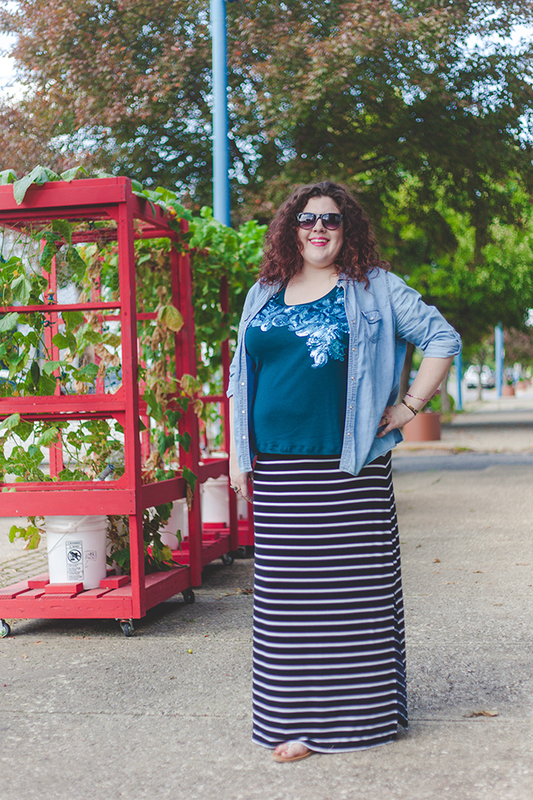 I like the chambray top because it’s something that’s different than a cardigan, and of course a maxi skirt makes everything fun. 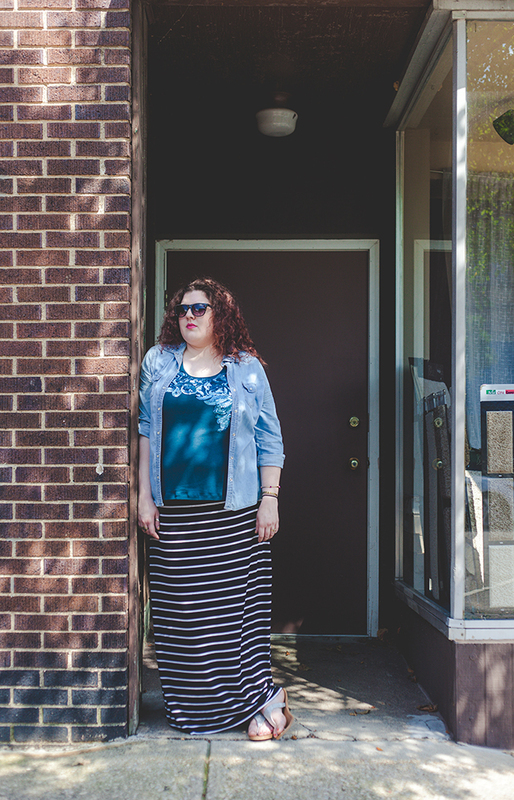 If you want to try the maxi skirt look the best tip I can give you it to try it on before you buy it, for some reason maxi skirts are tricky and they’re just one of those items you have to try on and find what cut works best for your body type. If you’re wondering were that last picture is from, it’s from the first Wearable Wednesday post we did right after we first started the blog. You can see it here, not gonna lie I just read it and may have cringed a little bit. We’ve improved quite a bit, you can go and compare! We’re also starting a new thing here on the blog. If you guys want to join our Wearable Wednesday fun, feel free to use the hastag #WearableWednesday on Instagram or Twitter for a chance to be featured-because you’re fabulous! We love seeing everyone’s gorgeous outfits, and being all social like. 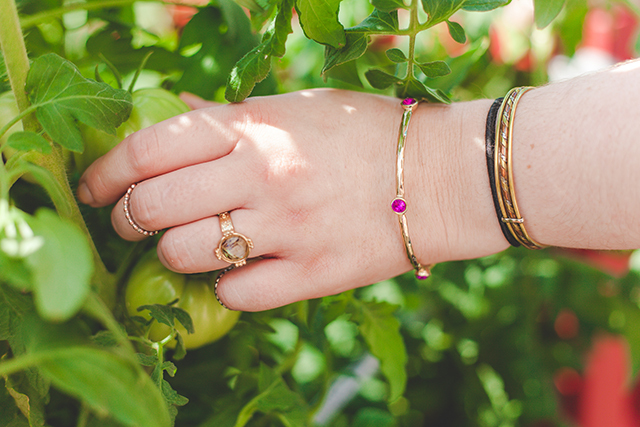 Wearable Wednesday: Spring has Sprung! 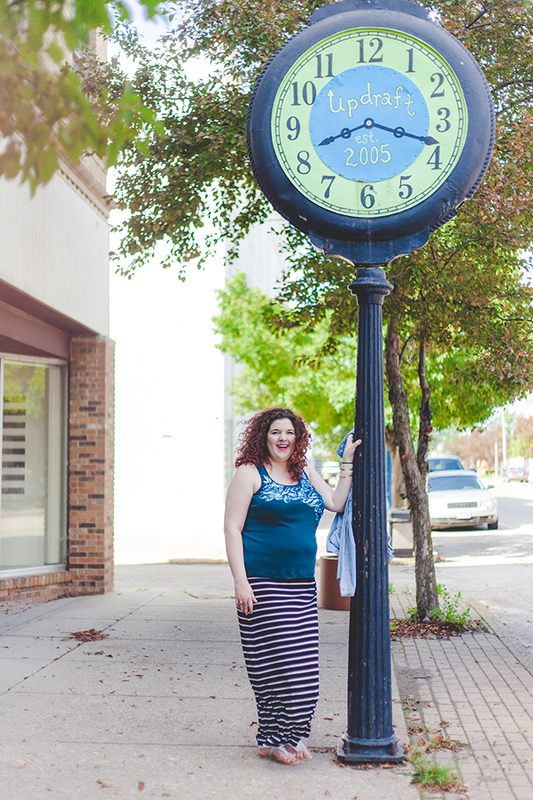 Wearable Wednesday with Cents of Style! love your maxi skirt. the pictures are so fun! Fun post!! I love maxi skirts, but I don't have any. I feel like they are always too long on me and swallow me up 🙂 It looks adorable on you though. I love the stripe pattern paired with the blues. Thank you so much! I We always try to have fun with our pics! Thank you! I I am slowly becoming addicted to them! If you want one I would suggest trying on different sizes lengths to find one that's flattering. Thanks for having the think up! Such fun photos! I really like your striped maxi – I've been wanting one for two years now and still haven't purchased one. It looks great with your floral tee and chambray shirt! Thank you! Now is a good time to get one since a lot of them are going on sale becuase summer is ending. (Just a tip, lol) We'll link it up for sure!! 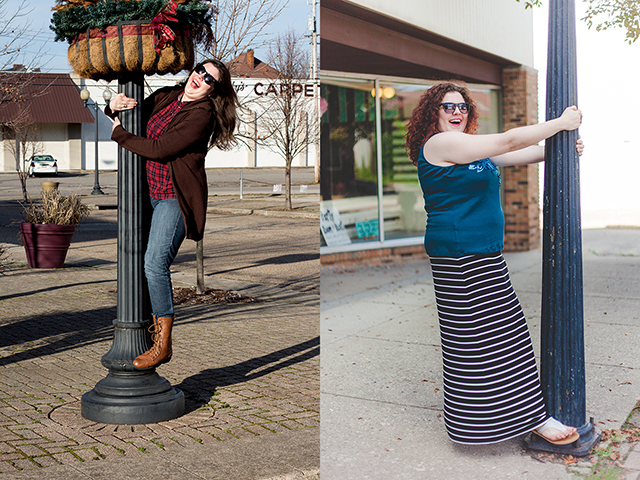 Fun pictures and loving your maxi skirt! Thank you for joining TBT Fashion link up and hope to see you Thursday. Thank you! They were fun to take! We'll be sure to link up for sure!